A 23-year-old, Eric Rivera Jr., was convicted of second-degree murder today in the 2007 slaying of Washington Redskins star Sean Taylor, who was shot outside his own bedroom after witnesses said he confronted young men who had broken into his home looking for money. 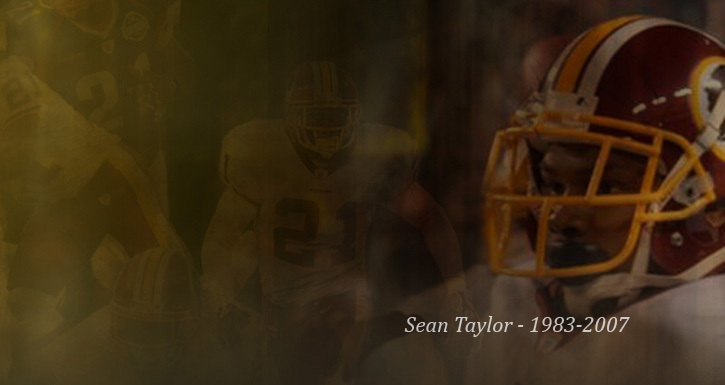 When Sean Taylor died, many people said it was because of his past. Others felt he was still up to no good. Many reporters quickly made note that he was an aggressive player on the field and had questionable friends off the field. A quick judgment on him was cast. But what you didn’t hear, was how Sean Taylor was a father and how much he loved his son and fiancé. You also didn’t hear in the media how he had turned his life around his last year and gave his heart over to Christ. He was trying to grow in Him when all of this went down. I wish that we all were not so quick to judge people on what we hear. We should understand that there are always two sides to every story. Thanks for posting this Pr. Kev! As a proud Miami-an I didn’t know this side of Sean Taylor’s story!